One 24 karat yellow gold pendant. 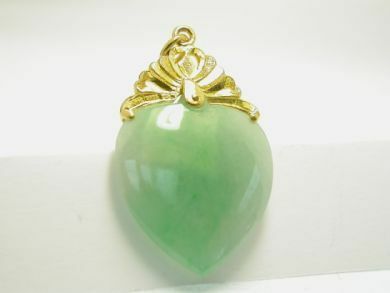 One heart shaped jadeite jade carving. The pendant is stamped and market with Chinese assay marks and "999."